Traditional job search advice would have it that you need to stand out from the crowd. This could refer to your resume, personal presentation, follow-up, lots of things. This line of thinking says that competition demands you and your attributes must be noticed to be considered. For those challenged by background snags, especially big ones, this is NOT the best approach from my experience. Rather, the objective (initially) should be to blend in, to be just like any other candidate. Frankly there are many reasons. Perhaps the most important is your need to influence the pace and direction of the interaction with a prospective employer. Drawing attention to yourself early in the process usually results in the opposite, loss of control and reactivity on your part. Putting it bluntly, standing out will increase the odds your "negatives" will be unearthed before the other person has a chance to get to know (and hopefully) like you. If you make a big-slash first impression, be prepared for unpleasant blow-back when the other finds out you have "stuff" in your background. When an initial impression isn't congruent with something later learned, trust flies out the window. Look, first impressions are critically important, so much so, you simply cannot risk messing up with a miss-fire before you have a chance to survey an opportunity. Successful reentry requires a frank discussion of your background issues. This shouldn't be done off-the-cuff. It works best when it's part of an orchestrated process that BEGINS with you being seen in the same light as everyone else. But let me be clear, I am referring to blending in strategically not in a "comfort zone" sort of way. Fact is, you're NOT like most other candidates and you may never quite fit or blend in. Accept this and USE it when designing your job search approach. 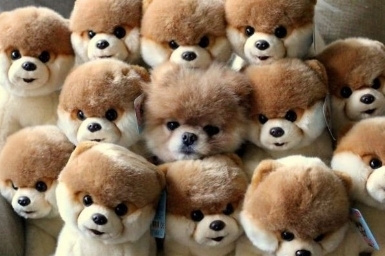 To be sure, you will have (must have) a chance to stand out from the crowd. The question is, will this be done spontaneously or intentionally? Click HERE to order Get Beyond Your Troubled Past for your program!